Edmonton comic book fans are mourning the loss of Happy Harbor Comics, a store that’s become a community hub since moving to downtown location in 2011. Edmonton comic book fans are mourning the loss of Happy Harbor Comics, a store that's become a community hub since moving to its downtown location in 2011. Jaleel Gibbs started coming to the store as a student at MacEwan University five years ago. "I'm shocked, I thought they were doing pretty well," Gibbs said while shopping at the store on Wednesday. He was picking up an issue of the comic Die kitty die! "It doesn't matter what type of fan you are, or what type of comics you like, you can find each section to your liking," he said. The store on 104th Avenue and 109th Street has an LGBT section and a children's section, and sells independent comics as well as classic superhero series. 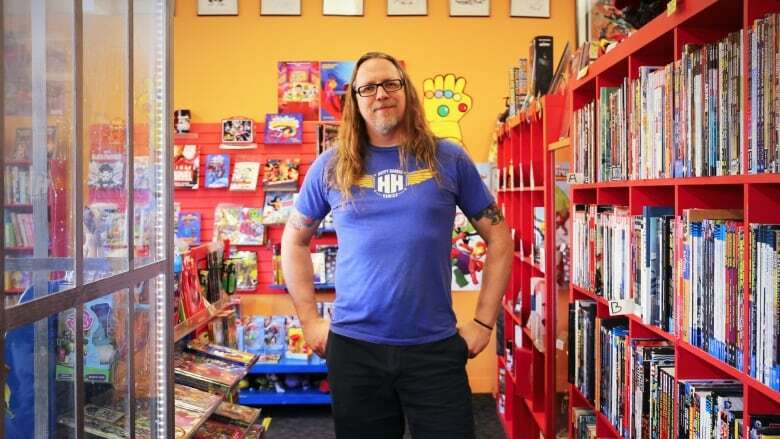 Jay Bardyla, co-owner of Happy Harbor Comics, said after starting the comic book business 20 years ago, it was time for him and his partner, Shawna Roe, to pack it in. "It was very much a personal decision," he said, "It's been tough on many of the staff and it turns out it's tough on a lot of our customers, I had no idea." The store made the announcement online Tuesday evening. Customer Evyn Carroll said he was sad to learn the news. He said he's been coming to the store for a decade and a bus trip organized by Happy Harbor brought him to his first Comicon in Calgary. "It gave my early nerdom a bed to grow and flourish in," said Carroll. "When you're speaking to someone and they give you a recommendation and you're hearing their enthusiasm and energy, that gets you excited and hooked on it," he said, "I just don't get that online and I'm going to miss it here." Bardyla started a subscription service in 1998 and opened his first store with Roe in the town of Jasper in 2000. The pair moved back to Edmonton and opened a store on Jasper Avenue at 124th Street in 2005, converting a space that was "was rundown, beaten up and disgusting." In 2011, they opened the 104th Avenue location. He said after two decades in business it was a struggle to stay profitable. "While we could have kept going and pushed through and waited until things got a little bit better again, we didn't know how long that would take." Bardyla said he feels it's the right time for him to take a break from the retail business. "Since the days of having a paper route I've pretty much been in retail in one form or another," he said. "It's time to flex some different muscles — mentally, physically — and try some different things, and I'm kind of looking forward to that." Bardyla said hearing from customers about how much the store meant to them has been bittersweet. 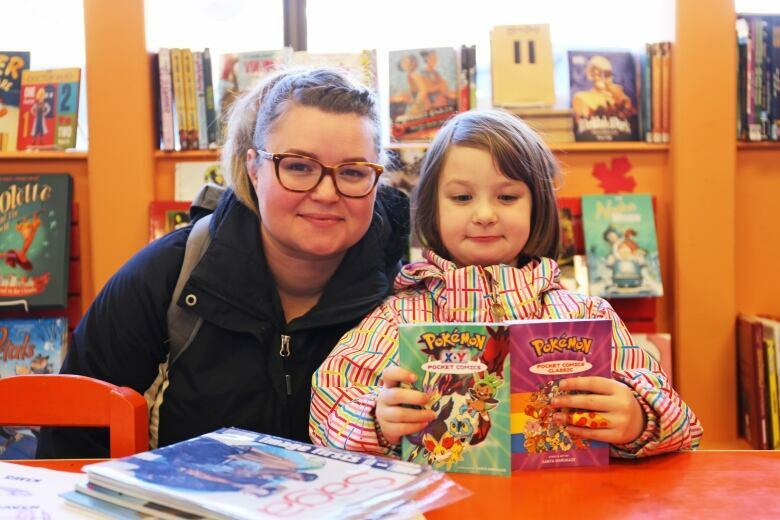 People have written in to say the store rekindled their love of comics, reconnected them to art or introduced their children to reading. Brittney Pederson was buying Pokémon books for her five-year-old daughter Lena on Wednesday and said she will be sorry to see the place go. "When we buy books we usually start here," Pederson said. "My cousin has been coming here since it opened and his kids developed a love of reading largely because of the books they got here, so I'm bummed she won't get the same experience."